This is a very special holiday spot, and it is pet friendly so it doubtless (excuse the pun) gets the big thumbs up from me. 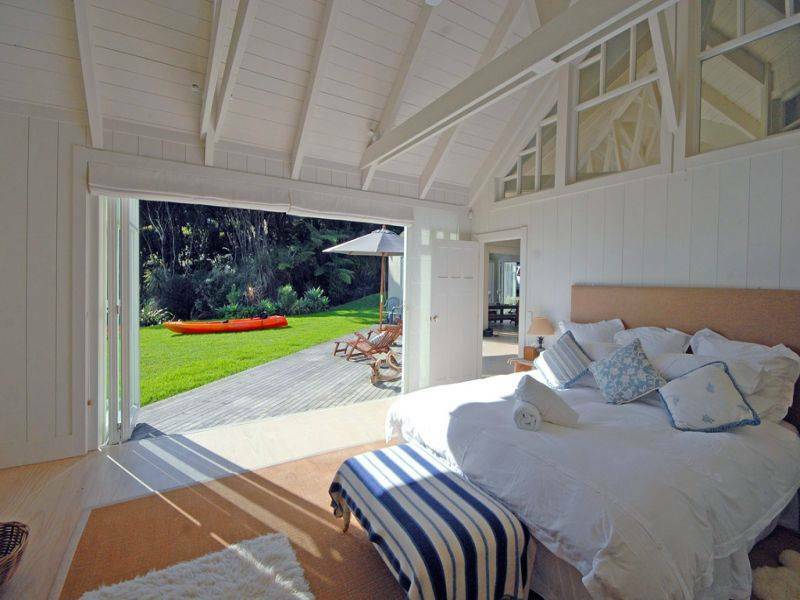 Imagine yourself in your own 47-acre lifestyle block at the tip of the Rangitoto Peninsula beside Hihi Beach across the harbour from Mangonui township. 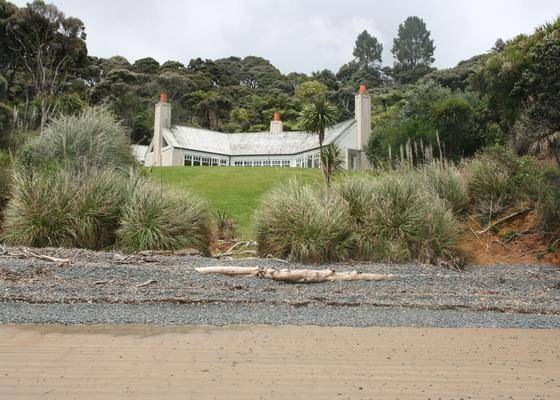 You have privacy seclusion and absolute luxury in your architect designed home situated on your own beach. Drive in through the rustic farm gate and crest the ridge. 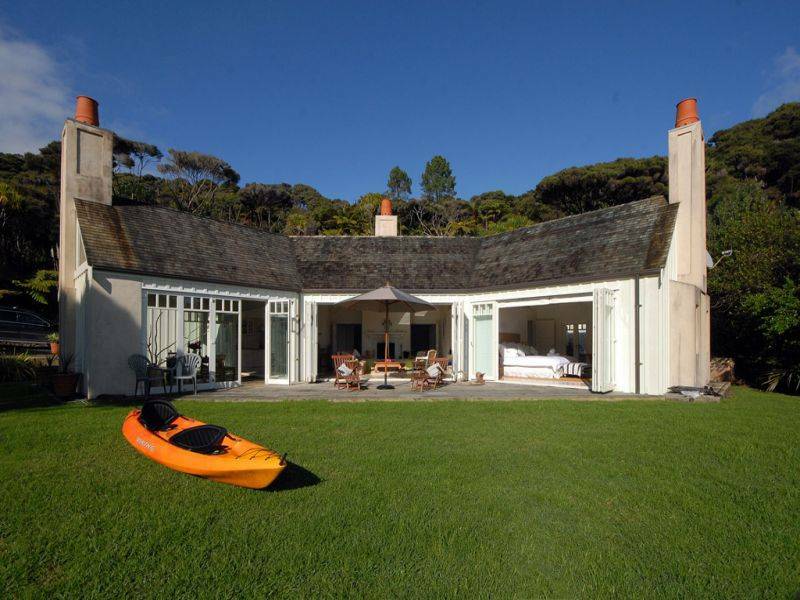 You will immediately be impressed by the breathtaking panoramic views from Bergen point to the Karikari Peninsula and the great Doubtless Bay. 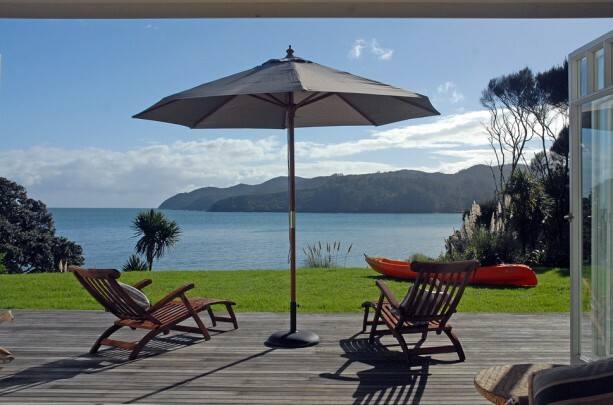 This Far North beach escape is as good as it gets, it is pure luxury, add to this dogs are welcome, and you have the perfect holiday spot. This is a stunning place to stay, private, lush, peaceful and our dogs just loved it the first time we took them there. In fact so much so, we elected to stay here again with our dogs rather than take that trip to Thailand we had been saving for. The second time we went and much to our surprise we were greeted by a particularly unfriendly notice at the foot of the fence, threatening to "shoot stray dogs". I have to admit after dropping a pile of dough on this holiday and arriving with my dogs to this message, there was a WTF moment, followed by a fleeting fantasy of shooting the person who wrote it. Fortunately after meeting the guilty-as-charged-farmer and having a little tait to tait I realised my dogs were highly unlikely to meet that end. Phew... wipe that forehead, I'm really not keen on physical combat, but I will do it if doing otherwise compromises the safety of my dogs! So in short your woofa's do have to be contained, in so far as there are some precious peacocks, and kiwi roaming the outskirts of the property, however we found between the lawn, immediate bush and beach below there was plenty of space for the dogs to stretch their legs, have a sniff and not disturb the native wildlife (farmer included). The only catch, if you can call it that, is this hideaway is pricey, $400-$800 per night pricey depending on when you go, but there are not too many places like this that don't mind if you bring along your woofa!